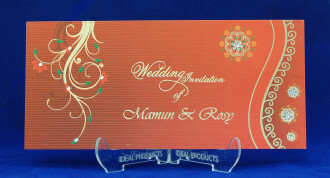 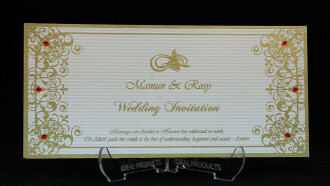 This invitation card is from our very rich collections and made of hard bound card board with shimmery finished designed cover. 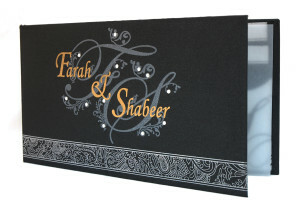 Card front is covered with personalized designer imprints and Diamante paste-up customizable as per couple’s names and initials. 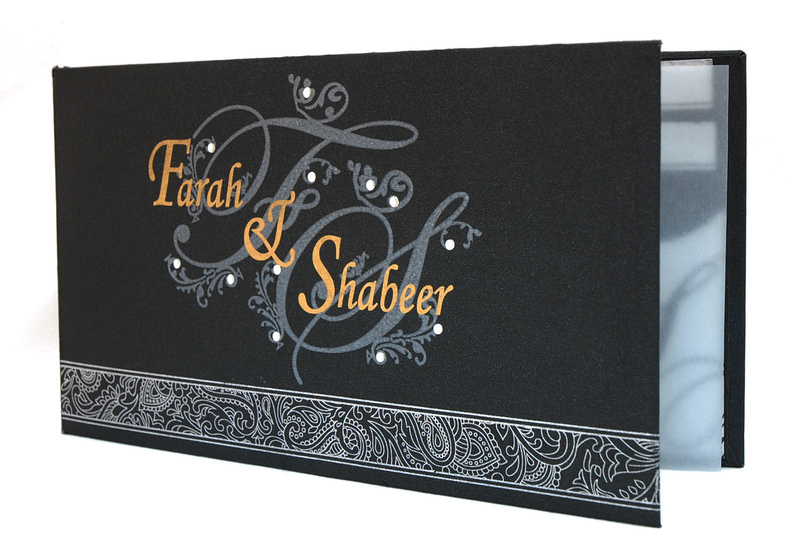 It has inner pocket to hold inserts for different programs covered by see through paper. 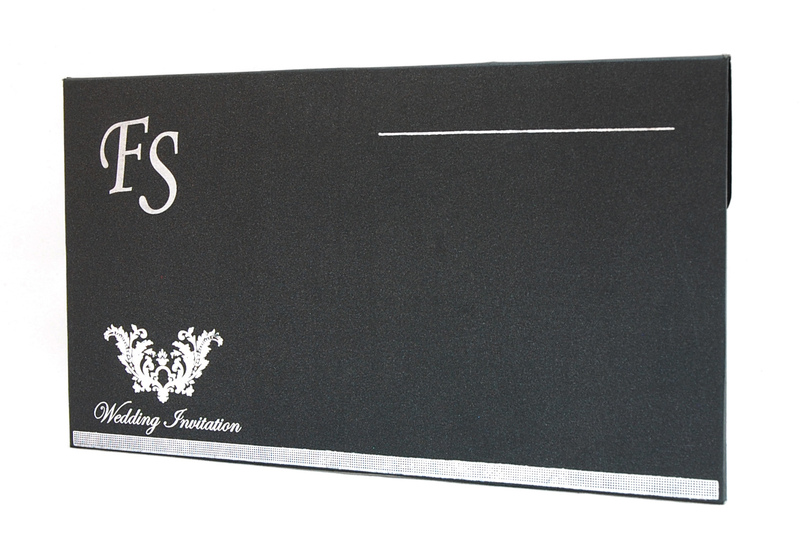 The Envelope has also shimmery finish on same card materials to make it very strong.